WASHINGTON — NASA is aiming to send astronauts to Mars sometime in the 2030s, but a new technology could help scientists explore the surface of the Red Planet — from its sprawling craters to its enormous volcanoes — from right here on Earth. Researchers at NASA’s Jet Propulsion Laboratory (JPL) in Pasadena, California, partnered with Microsoft to develop software that uses the tech giant’s HoloLens headsets to allow scientists to virtually explore and conduct scientific research on Mars. The software, called OnSight, uses real data collected by NASA’s Curiosity rover on Mars to create a 3D holographic simulation of the Martian landscape. Scientists wearing the HoloLens headsets can virtually walk around on the Red Planet and interact with the environment. “We may not be able to actually go to Mars yet, but we can go there virtually,” said Parker Abercrombie, a software engineer at JPL who investigates different ways that software can enable augmented exploration. And because the software was created using actual observations, researchers will be able to conduct valuable science, even while being more than 140 million miles (225 million kilometers) away. For instance, scientists could scale an escarpment to survey the view from that vantage point, or get on their hands and knees for a close-up view of the planet’s rocky terrain. Additionally, because Curiosity’s mission is ongoing, JPL engineers will be able to make modifications based on the latest data. “As the rover drives and takes more pictures, our reconstructions are constantly being updated and improved,” Abercrombie said. But perhaps the most important advantage of integrating NASA’s work with augmented and virtual reality is that it helps make space more accessible to everyone, said Alexander Menzies, software lead for augmented and virtual reality development at NASA. Now, when the agency sends rovers to the Red Planet — and eventually when human astronauts journey to Mars — technology like the HoloLens and virtual reality headsets will allow people all around the world to come along. These “telenauts,” as Menzies dubbed them, will be humanity’s virtual explorers of the future. Recently, News Corp Australia made its first seed investment in augmented reality company Plattar — a cloud based platform that allows publishers to create, manage and distribute augmented reality content. The Plattar platform comprises a template driven app builder and content management system for managing augmented reality experiences and can deploy content to any device. Augmented reality is touted to be the next major component in consumer engagement, especially in the real estate and gaming. News Corp’s investment appears to be aimed at tapping the potential of this technology. According to a report by Manatt digital media, augmented reality is expected to generate $80 billion in revenue (excluding hardware) by 2020 and become the backbone of immersive journalism where readers can experience a story and be part of it. We believe News Corp’s digital real estate business can get a boost by use of augmented reality technology and an immersive consumer experience can drive the company’s revenues in future. According to our estimates, the Digital Real Estate segment accounts for more than 15% of News Corp’s valuation and we expect revenues of this division to increase from around 0.92 billion in 2016 to more than 1.31 billion by the end of our forecast period. This segment drives revenues by selling online advertising services on its residential real estate and commercial property sites We believe the introduction of augmented reality on such websites can attract more consumers. The trial conducted by the company with Plattar for its digital real estate subsidiary REA group was successful in simplifying the property search process by allowing the user to find their ideal property via a visual search. To use the technology, the end user needs to download the app and scan the print listing on his smartphone. The app then gives 3D interactive images of location map and information about the property. This improves and simplifies the user experience to search for the desired property. Augmented and virtual reality technology is expected to change the real estate market in future. Recently, the luxury home real estate company Southeby’s started to use virtual reality headsets to showcase high end homes in the U.S. Other property companies are also launching virtual reality property tours at their offices, as the ability to see a property without actually visiting it proving extremely useful for investors looking to buy properties in locations away from their city or country. We believe News Corp’s investment in this area will boost its digital real estate business and provide a competitive edge to the company in future. On Tuesday, augmented reality trailblazer Magic Leap released a new video demo of its very secretive product. If you can bring yourself to believe it — and to believe the fine print — the video is sure to blow your socks off. The fine print: “Shot directly through Magic Leap technology on April 8, 2016. No special effects or compositing were used in the creation of this video (except for this text).” Assuming, against all reason, that that’s true, you’ll soon be getting accustomed to a new morning routine. Instead of rolling over, groggy, and poking mindlessly at your smartphone’s clunky screen, you’ll don a Magic Leap headset and gesticulate your way through a mixed reality tour of your messages, priorities, internet destinations, and even a jellyfish smack. Or so Magic Leap believes: the video is optimistically called “A New Morning,” and the description proclaims: “Welcome to a new way to start your day.” If I get to wake up to what’s in this video, I’ll gladly proselytize. The notable but possibly misleading element of the fine print is the word technology. Though not necessarily the case, it could be that the use of such an ambiguous term is meant to conceal the fact that the video was not shot through a Magic Leap headset — especially when you consider the difficulty involved in filming a presentable video through a pair of glasses. Regardless, we’ll take the AR company at its word: if you buy this product, whenever it’s released, you’ll get what’s advertised. To build such an AR interface, Magic Leap undoubtedly snagged some powerful minds to work there. Let’s just hope that those powerful minds are also virtuous — Magic Leap’s patent applications give us reason to be wary of its future tech. And let’s also hope that it can get a product out to the general public before too long: all we’ve gotten are patents and videos — we’ve yet to see much that’s concrete. Imagine being able to see how a couch would fit in your living room before actually buying it — or being able to see which sunglasses suit your face or which lipstick looks good on you without physically trying anything on. Each of these scenarios is already possible. These are real examples from Ikea, Ray-Ban, and Cover Girl of how companies are currently using augmented reality (AR). AR has been piquing marketers’ interest in recent years, as it has the potential to change a range of consumer experiences, from how people find new products to how they decide which ones to buy. AR technology enhances the physical environment you see by overlaying virtual elements, such as information or images over it, either through displays such as HoloLens and Google Glass or through the camera view on your smartphone. In order for the potential of AR to be realized, though, companies have to resist the urge to hastily create AR apps (that risk appearing gimmicky), and instead focus on better understanding how consumers will interact with the technology. Based on research I have been conducting on consumer responses to AR over the past four years, I have found that designing and implementing valuable AR apps requires the following: a better idea of how consumers would use such technology; more collaboration among computer scientists, designers, and marketers; and a strategy for integrating the applications into the existing consumer journey. When I started working on AR as the topic for my PhD, almost no established knowledge about it existed in the marketing field. However, computer science and human-computer interaction research have been tackling AR for years, and borrowing insights from those fields can greatly help marketers understand what this technology will mean in commercial contexts. Companies first have to understand how AR differs from other digital technologies. While it is similar in some aspects (e.g., applications are frequently used on smartphones, the content is composed of text or images, and the apps are usually highly interactive), there is something inherently different about AR: the ability to overlay virtual content on the physical world and have the two interact in real time. I conducted a lab experiment with 60 participants to investigate how such augmentation influences consumer responses. The study is forthcoming in the Journal of Marketing Management. Participants had to look for their preferred model of sunglasses or furniture, either using an AR app (Ikea or Ray-Ban) or an app that allowed a similar activity but without AR features. The results consistently showed that when participants perceived an element of the environment to be augmented in real-time (for example, seeing a pair of sunglasses simulated on their face or seeing a virtual chair in an office), that created an immersive experience for them, significantly more so than if the sunglasses were just stuck on their online photo or if they saw furniture in a virtual room. I also found that the augmented experience resulted in positive attitudes toward the application and willingness to use the app again and talk about it to others. But these effects didn’t seem to extend to the products themselves or the brands, just the technology. However, another study showed that this might change depending on how the app is integrated into the consumer journey. Working with professor Yvonne Rogers from the UCL Interaction Centre and AR designers Ana Moutinho and Russell Freeman from the AR agency Holition, we conducted one of the first studies of how consumers use AR to “try on” make-up in a store. The app we used allows people to put on virtual lipstick or eye-shadows that moves with their faces. We found that using this AR mirror in the store helped the consumers decide what to buy. The majority of them enjoyed the playful experience that allowed them to experiment with looks that would be much harder with physical testers. More importantly, when the AR app was integrated in a familiar retail setting as a part of the shopping experience, people not only thought highly of the technology, but they also positively related to the products. They were more likely to buy them and view the app as a convenient tool for shopping, not just for playing around. Another study that we conducted online showed that when participants frequently used a similar AR make-up app on their phones over a five-day period, they also reported positive reactions towards both the technology and the products. They perceived the app to be not only enjoyable, but also useful for shopping for make-up, which again translated in their intentions to purchase the tried-on products. Basically, if the AR experience is just a one-off episode, which was true of the lab study, the augmentation will most likely direct people’s attention towards the technology. But if it is well integrated in an environment or in a process, it has the capacity to positively impact purchase activities and have a more far-reaching influence. It is important to note that because shop assistants invited consumers to use the virtual mirror and showed them how to use it, it remains unclear whether customers might have a different experience without any help. Marketers should remember that AR is not about creating a completely new reality; it’s about enhancing what already exists. When the virtual is well fitted with the physical and interacts with it, that’s when AR magic happens. As opposed to virtual reality, which immerses you into a different world (e.g. Oculus Rift), AR intertwines virtual elements that might be missing in a specific situation within physical reality (the latest best example being HoloLens’ holoportationfeature). This is one of the reasons why people like Snapchat’s AR feature, where users can play with different visual effects to transform ordinary videos into shareable stories. The crucial part of the AR experience is whether the technology adds real value. Simply overlaying something virtual on a phone screen doesn’t always cut it and can appear gimmicky. Having an ad pop up on your smartphone camera view from scanning a brand’s logo might be fun, but people would tire of it pretty quickly. Similarly, an app that overlays information and promotions on your phone screen when you point the camera to different stores on a street or products in a shop sounds useful, but marketers have to ask: Are consumers really going to walk down the street holding their tablets or smartphones in the air? Do they want to shop by scanning every product? The answer at this point is probably no, even for digital natives. People will only change their behavior if they perceive the value is worth the effort of adding another information layer into an already saturated digital space. So it’s important to think about the contexts in which they may be willing to do this —f or example, exploring a cultural event, an urban environment, or a historical site with an AR app (similar to how people use headsets in art museums), or wanting to learn more about an expensive product or a brand they really care about. The real mission for commercial AR is integrating the technology so that it enhances the customer experience — makes it easier, more fun, and more convenient. We don’t want to live in a world where tangible, physical elements are replaced with digital replicas. The idea of Google Glass failed because we don’t want to walk around constantly seeing everything augmented. (The way Microsoft has been positioning HoloLens may be a different story, because it is designed for specific occasions, such as meeting rooms or workshops.) So rather than thinking of how to overlay as many places as possible with additional virtual content, the key to understanding AR is defining the specific activities where it can create real value. Ana Javornik is a research associate at University College London Interaction Centre and Holition. She is also a PhD candidate at Università della Svizzera Italiana. More media companies are betting that virtual and augmented reality technologies aren’t a passing fad, and that these mediums could be the future of entertainment. On Tuesday, HBO and Discovery Communications announced that they have taken an equity stake in OTOY. The investment is intended to advance OTOY’s holographic or augmented reality technology in hopes that the networks can present the content through their TV and digital channels. Los Angeles-based OTOY develops immersive entertainment experiences, whether that’s through holograms, virtual reality or other technologies. Financial terms of the deal were not disclosed. 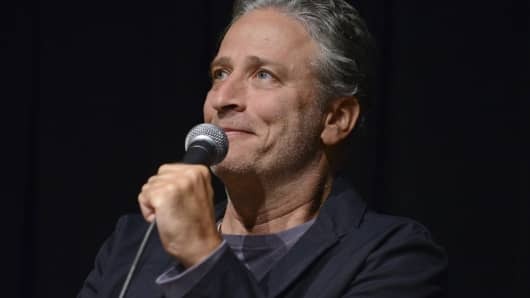 Though details are scarce, one confirmed beneficiary of the OTOY and HBO deal will be Jon Stewart. In November, Stewart and HBO had signed a four-year production deal with OTOY. At the time, OTOY said Stewart was to co-develop new technology that would help him rapidly produce short-form content multiple times a day, with additional projects in the work. Urbach said that HBO and Discovery’s investment goes past Stewart’s project. He pointed out that both media and technology companies are looking at immersive digital content as the next evolution of media. In October 2014, Google invested $542 million in Magic Leap, a digital visual technology company that is working on creating an eyeglass that would allow people to see holographic images in real world settings. It’s seen as a competitor to Microsoft‘s HoloLens, another augmented reality device. During this year’s Tribeca Film Festival, almost 30 exhibitors presented VR content in a variety of ways that could encourage mainstream adoption of the medium. A report from Greenlight VR and Road to VR estimated that 136 million VR headsets would be sold in the U.S. in 2025. Urbach said OTOY’s vision is to develop technology that would allow people to see these kind of experiences without needing additional VR headsets or even a desktop computer. For example, someone may someday be able to pull up a website like HBO Now or a sports game on their mobile phone and project a holograph of the content on their coffee table, he said. “It is like ‘Star Trek’ or ‘Star Wars’ depending on if you want Princess Leia in front of you, or if you want to go in the holodeck and the experience be around you. 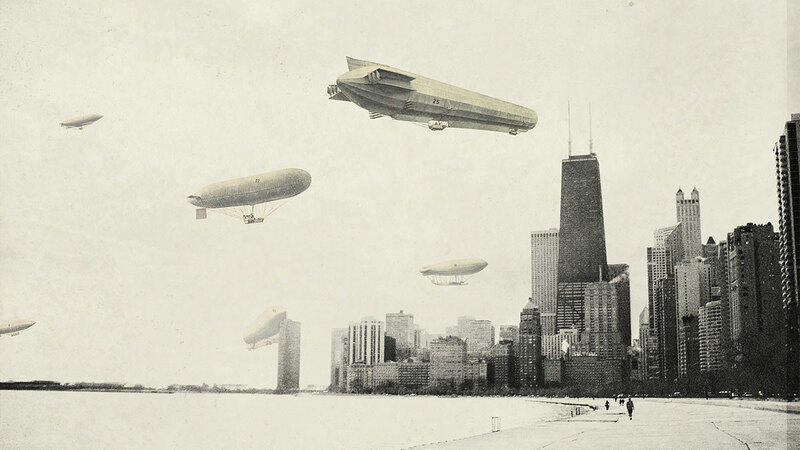 … It’s really not sci-fi anymore,” Urbach said. OTOY’s roots in the tech and entertainment industry are deep. In addition to HBO and Discovery Communications, it also counts Autodesk and Yuri Milner’s Digital Sky Technologies as major investors. Its board of advisors include former Google CEO Eric Schmidt, former IBM CEO Samuel Palmisano, Mozilla co-founder and former CEO Brendan Eich and, perhaps most important for making in-roads in the entertainment industry, William Morris Endeavor IMG co-founder and co-CEO Ari Emanuel. The Los Angeles-based company’s camera technology, which can create high-quality computer graphics in almost real time, has been used in films like “The Social Network,” “Spider-Man 3” and “The Curious Case of Benjamin Button,” and won a Scientific and Engineering Academy Award in 2010. Florida-based Magic Leap, one of the companies considered to be at the forefront of augmented reality, is reported to have scooped up NorthBit, an Israeli software solutions provider. At this point, the sale price does not appear to have been made public. NorthBit was co-founded in 2012 by CEO Gil Dabah and CTO Ariel Shiftan. While not strictly a cyber security firm like many other companies in the Startup Nation, NorthBit garnered some press last month when they announced that they had successfully hacked Android’s OS using the Stagefright exploit, highlighting the risk of remote hacks on over 95% of devices running the software. Not much is known about the secretive Magic Leap other than the fact that they are laying the groundwork for the next generation of augmented reality. Despite this ambiguity, they have raised a significant amount of capital. Their Series C round that was finally announced back in February brought in $793.5 million worth of funding, bringing them to a very impressive valuation of $4.5 billion. Perhaps equally as impressive is their list of investors. In the Series C round, they pulled into their roster of backers big names like the Alibaba Group out of China, along with return investments from Google Inc. and Qualcomm Ventures. Other new investors for that round included Warner Brothers, Fidelity Management and Research Company, Morgan Stanley, JPMorgan, and Andreessen Horowitz. It makes a significant amount of sense that Magic Leap would look to bolster their cyber security capabilities, given the massive potential for the multiple uses of augmented reality technology. Beyond the basic need to protect the account information of folks using the technology for games, augmented realityis already being spoken about in the future of commerce, medical technology, and communication just to name a few of its possible uses. As Magic Leap continues to hone in on their final product, we can expect more acquisitions that will help the company to augment their capabilities. One company that is building relevant technology is DeepOptics with their liquid crystal lenses that can adjust their composition to meet the needs of the wearer. This helps deal with issues in AR and VR where the brain has difficulty making sense of what it sees in front of it through images, conflicting with its other senses. Microsoft’s HoloLens, the first augmented reality device, started shipping to developers on March 30. While most people who have used the device believe it could represent the future of technology, they also feel that the current beta version is somewhat limited. Mashable likes the build and design of the HoloLens. 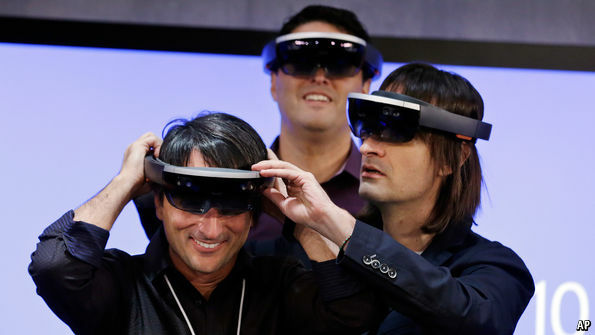 The author, Lance Ulanoff, doesn’t feel as bothered as others by the limited field-of-view the HoloLens offers. However, WinBeta explains why it could be a major issue. “Whatever the reasons, the field of view is narrower than you’ll probably want. The thing that struck me most about the field of view problems was not that the screen was too small, but what happens when you want to change the field of view,” says author Kip Kniskern. Kniskern and others say that to understand the limited field-of-view, one has to think of holding a smartphone about eight inches from your face. When a holographic image is too large for that space, it will clip off and sour the immersive experience. A Reddit poster, Theadmira1, received his HoloLens and says he loves it so far. If for some reason Microsoft doesn’t fulfill their duties in bringing augmented reality to the mainstream, perhaps Apple can deliver a more complete augmented reality experience. According to MacRumors, Apple is likely working on both virtual and augmented reality projects. The article adds that Apple has hired hundreds of employees who specialize in both augmented and virtual reality, including computer science professor Doug Bowman, who once led Virginia Tech’s Center for Human-Computer Interaction. He not only specializes in three-dimensional user interface design, but has written a book on the subject covering 3D interfaces. Judging by the initial response to the HoloLens, it will take at least three or four more years before a complete consumer-oriented augmented reality device hits shelves. Are you excited about augmented reality? Do you think Microsoft’s HoloLens has more promise than virtual reality devices such as the Oculus Rift and the HTC Vive? Let us know in the comments section. Mark Zuckerberg is optimistic about the future of virtual and augmented reality. At his Facebook F8 conference keynote, Zuckerberg said that the company was working on “a whole new set of social experiences” across VR platforms, echoing an announcement the company made earlier this year. “Virtual reality has the potential to be the most social platform, because you actually feel like you’re right there with another person,” he said, referencing an Oculus Rift “toybox” demo that lets two people play together in VR. But in the coming decade, Zuckerberg sees a progression that many people have predicted: that virtual reality will merge with augmented reality and become part of everyday life. Over the next 10 years, the form factor’s just going to keep on getting smaller and smaller, and eventually we’re going to have what looks like normal-looking glasses that can do both virtual and augmented reality. And augmented reality gives you the ability to see the world but also to be able to overlay digital objects on top of that. So that means that today, if I want to show my friends a photo, I pull out my phone and I have a small version of the photo. In the future, you’ll be able to snap your fingers and pull out a photo and make it as big as you want, and with your AR glasses you’ll be able to show it to people and they’ll be able to see it. As a matter of act, when we get to this world, a lot of things that we think about as physical objects today, like a TV for displaying an image, will actually just be $1 apps in an AR app store. So it’s going to take a long time to make this work. But this is the vision, and this is what we’re trying to get to over the next 10 years. Palmer Luckey, inventor of the Oculus Rift headset that Facebook acquired in 2014, has previously predicted that augmented and virtual reality headsets will merge into a single piece of hardware that people carry around or wear like a pair of glasses. Granted, that’s going to be harder than it might sound. Right now, virtual and augmented reality headsets use fundamentally different visual technology, and it’s difficult for a pair of small glasses to block out the outside world the way a VR headset can. But the photo sharing technology Zuckerberg’s describing is already plausible on an early augmented reality headset like the Microsoft HoloLens. So is the idea of selling apps to simulate physical objects, although we hope he wasn’t being literal about paying an extra dollar to simply simulate a video screen. Judging by the ambivalent response to early augmented reality headset Google Glass, it may actually be tougher to sort out the social norms than the pure technology — an issue Facebook should be more than a little familiar with. Samsung is exploring the development of a contact lens that can project images directly into the users’ eye, take photographs and connect wirelessly to a smartphone, a patent application has revealed. It is not clear whether patent sought in the application, which was written in Korean and made in September 2014, has been granted, or whether Samsung has begun incorporating the technology into a product. But wearable technology and augmented reality tools are actively being developed by firms in need of new device ideas. Google launched its Glass headset in February 2013, yet its combination of conspicuous, clunky design and features including map directions, phone calls and video recording failed to inspire mainstream interest. The Samsung patent says the quality of the Glass augmented-reality experience “can be insufficient”, according to a translation. According to the application, Samsung is exploring on-eye navigation instructions and the ability to search online for more information based on what a user happens to be looking at in the real world. Executives do not, however, seem to have acknowledged one of the main complaints against Google Glass: that people found the idea of “Glassholes” walking around with a potentially always-on, inconspicuous camera to be creepy.